The off-highway vehicle market is expanding by the day and the demand for reliable speed & position sensing solutions is on the rise. 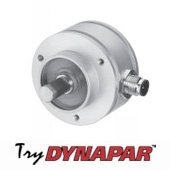 Dynapar is leading the way as an innovator in encoder and resolver technology offering more accurate and rugged solutions than typical hall sensors, magnetic pickups, and potentiometers. 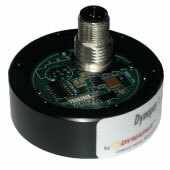 Used primarily in the agriculture, construction, and specialty vehicle industries, Dynapar encoders and resolvers provide greater accuracy and durability than traditional speed and position sensors. Crane booms & aerials, electric steering systems, speed & rate indicators, and HEV (Hybrid Electric Vehicle) motor systems are some of the more common places these innovative devices can be found. 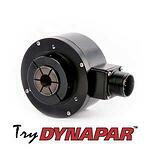 Dynapar products bring precision, efficiency, and reliability to these mission-critical applications. With advanced technology, less maintenance, and competitive pricing, Dynapar products are leading the electro-hydraulic control trend in the off-highway market segment. Maximizing heavy equipment uptime and increased sensor reliability is what the HS35R provides. The HS35R’s high 400g shock rating and large hollow shaft capability makes it well-suited for winch or hoist drum speed & position control. Its IP67 seal rating and powder coated finish resist the outdoor elements, making it a perfect solution for agricultural rate indicator applications as well. The innovative non-contact “shaftless” technology of the HDN58 eliminates seals, bearings, and couplings that contribute to equipment downtime in the field. A wide sensing envelope and encapsulated electronics make this sensor ideal for harsh-environment rate indication & coarse angular position sensing. Choices of pulse output, analog voltage, or J1939 protocol make integration into existing control systems easy. Some Off Highway Vehicle applications require precise feedback of critical movements. The AR62/63 is a magnetic absolute encoder that can withstand extreme conditions and is available in stainless steel with IP69k sealing.